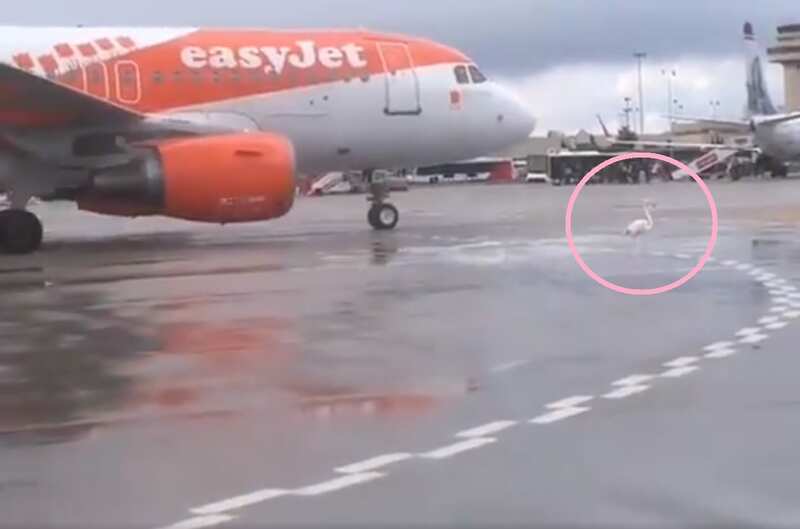 THIS is the cheeky moment that a flamingo decided to trot across the runway in front of an Easyjet flight. 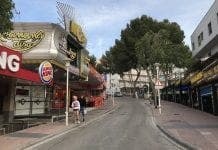 Holidaymakers were stunned as their plane, which had just touched down in Mallorca on Sunday, was forced to slow down to avoid the bird. 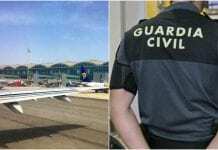 An airport worker caught the hilarious incident on camera, as the plane beeped its horn to warn the animal. The flamingo can then be seen spreading its wings and taking flight. Wildlife control experts were notified, but the flamingo is believed to have flown away before they arrived. 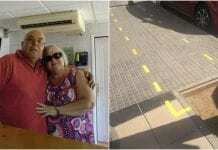 It comes after a hippopotamus was caught on camera in Roquetas de Mar, Almeria, after it escaped from a circus. The beast was filmed running around and eating grass on a roundabout, before circus staff re-captured the animal.